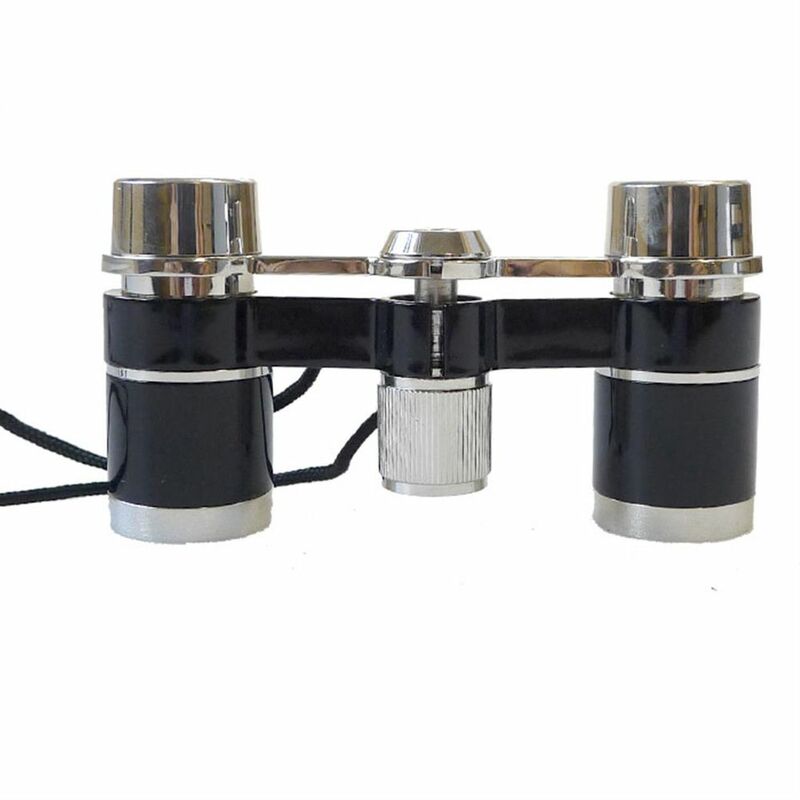 These 3x25mm Opera glasses in black and silver are compact and lightweight allowing you to carry them in your bag or in a coat pocket with ease. Slightly less showy than some of the other opera glasses we sell, the smart black body of the barrel contrasts beautifully with the shiny silver edges, giving them an expensive feel. They focus using the metal focusing ring at the bottom edge of the middle hing, which they fold through to fit your personal eye distance. 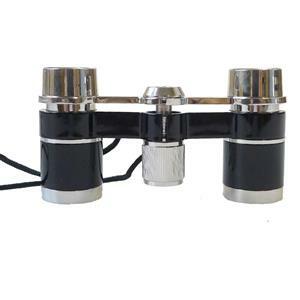 The Galileo design is creative and unique, and this fast focusing set of binoculars allow you to enjoy theatrical productions others may miss. The Danubia Opera glasses carry a 5 year warranty and come with a small drawstring pouch for protection.